The Techno Toast imagined an iPhone 6 concept that truly fits iOS 7. As you know, the latest iOS is basically an Andy Warhol nigthmare mixed with raw minimalism. So, why not have a phone that fits this approach? The iPhone 6 render you see here also has some specs associated, including a 4.8 inch rounded Full HD display with Gorilla Glass 4 protection and a quad core Apple A8 CPU clocked at 1.9 GHz. 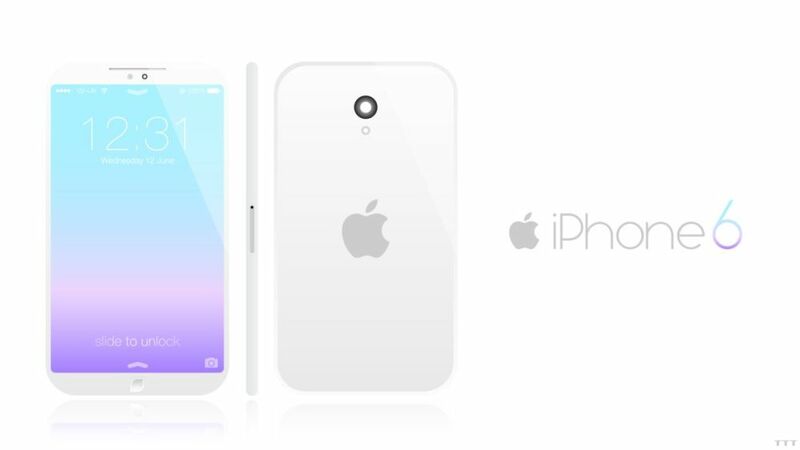 There’s also a glass front and back on this model, a microSD card slot (big LOL) and anodized aluminum sides. Inside we find 3 GB of DDR3 RAM, a 3000 mAh battery, 128 GB of storage and at the back rests a 12 megapixel camera. This feels like a ghost of an iPhone, if you ask me and it’s very, very minimalistic. Do you like that or do you want more… styling?